I have dreamed of writing books, in fact, I have had a manuscript sitting around for years. Now I am finally focusing on being a full time writer and author. For my first book I have put together a collection of essays. Dancing on the Beach. Coming soon will be a Memoir and a fiction novel. Essay writing is what has always come natural to me. It is my foundation Everything I have written is always deeply personal. Anything I write including short stories or the occasional fiction piece all start from something personal with a touch of imagination and dreams of how I wished it was. It is who I am. It is my style and my voice. 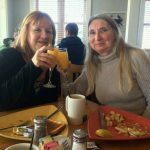 Sister’s Travel Adventures has inspired me to write more of my travels and the places I have been and the places I am going to. Travel writing is a new direction for me yet a perfect fit since I have had wanderlust all my life. Traveling is a deep passion of mine. In addition to taking you along on my travels I hope to inspire you to travel. On BeachWisdom.com in addition to travel essays ,I will provide information and tips on the places I have been. Sisters Travel Adventures chronicles my sister, Susan and I as we cruise and travel around the world .It is a family history and bond that connects the past with the present and leads to a future we never imagined. Our adventures interweave our present destinations with our past and sails us full force into a future we abandoned many years ago. Intertwined with our journeys is all the fears and false beliefs of childhood as we stretch ourselves and our visions of our past and our future. In moving forward we are letting go of the past that no longer serves us yet reviving the memories that we should never have left behind. Come with us as we attempt to cruise around the world on portion at a time and all the side trips we decided to take along the way. 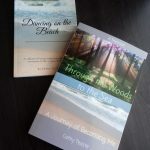 Beachwisdom was where I began writing about my love of the beach and the ocean. It became my place to express whatever I was writing and everything ended up there, my personal essays, my memoir, anything I was writing about. As I shift and change it too will shift and change. I will be redesigning it as well. I will be moving all the personal essay and memoir writing here. Beach Wisdom will return to my love of the beach and ocean but expand to my love of travel. 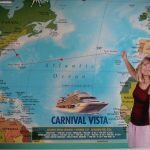 Not only will I post my Sisters Travel Adventures and other travel essays and my Island life articles, I will also include tips and information on cruises and destinations.